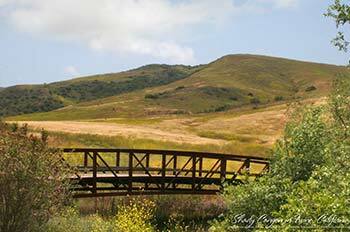 Enjoy self-guided access in the southern portion of Irvine’s Open Space Preserve. 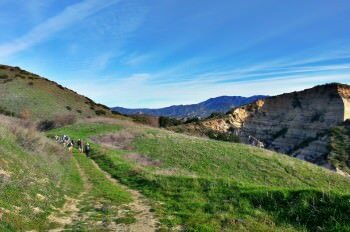 The entire southern Open Space Preserve trail network will be open for self-guided hiking and biking from 8 am to 2 pm. This includes the single-tracks in Shady Canyon and Bommer Canyon that are reserved for guided activities only. Registration is not required for this event, though it is shown on the website. If you need driving directions, please use the online registration to receive a map and instructions for getting to Bommer. The Bommer Canyon Cattle Camp will be available for parking, but please take note that your vehicle must be removed from the Cattle Camp area by 2 pm. Dogs are not permitted in the Irvine Open Space Preserve. Ages 17 and under must be accompanied by a parent or guardian. All mountain bicyclists must wear a helmet at all times while on Irvine Open Space trails. You may choose to enter the trail system from other surrounding locations, Quail Hill, Laguna Coast, El Moro, but you must be off of the Irvine “scheduled program only” trails by 2 pm. Gates will be closed and you will be subject to citation if you are found to be on the Irvine “scheduled program only” trails before 8 am or after 2 pm. Failure to remove your vehicle from the Cattle Camp by 2 pm will subject you to citation. The availability for self-guided trail access is limited to the date and hours of this event only. Parking, updated maps and information will be available at the Cattle Camp in Bommer Canyon during open hours. Multi-use trail etiquette: Please Remember that bikers yield to hikers and that bikers and hikers yield to equestrians. Click here for more trail tips. Please adhere to the stated description above to ensure the continuation of Access Day events in Irvine. Please call 714-508-4764 with questions and for more information.